All material contained on this page and any subpage is copyright © 2001 AustralianBouldering.com and where appropriate is used with the kind permission of The Boulder Lounge. All rights reserved. 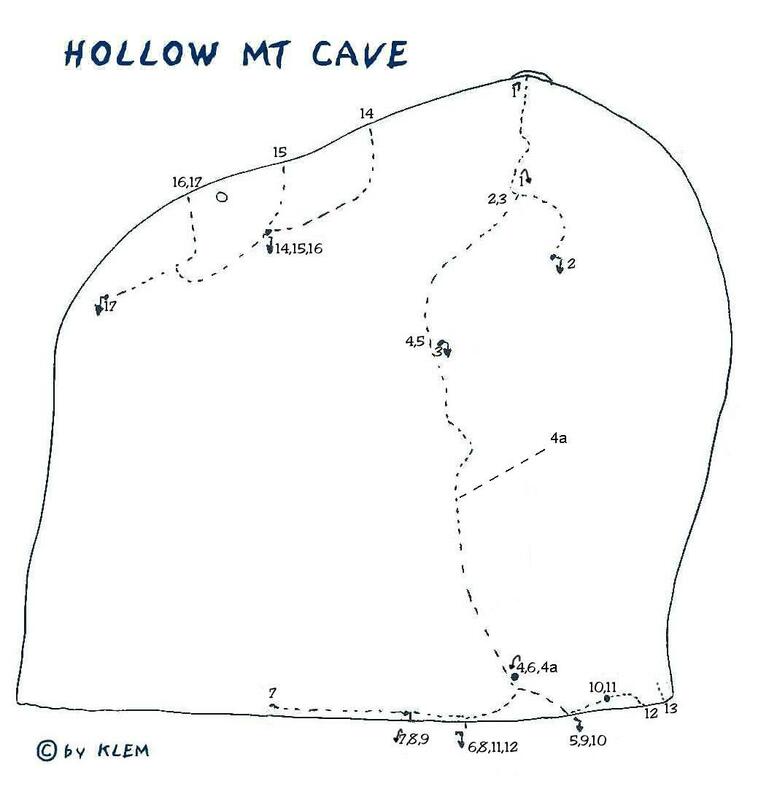 Starts at the end of Sleepy Hollow and finishes on the big flat jug approximately 1m before the end of the ridge up the middle of the cave (ie. at the start of Dead Can't Dance). Easier if you're tall. Starts at a big pocket in the roof and then some desperate moves to join Cave Man's finish. Follows Cave Man into the crux of Dead Can't Dance and finishes up Rave Heart. If you finish as for DCD and not Rave Heart you get Eve Rêve V14 (FA: Fred Nicole). Start at the end of Cave Man and finish up Amniotic World. Traverses rightwards to finish up the scoop before the start of Wimmel Friedhof and Ogre Thumb. If you keep going and finish up Ogre Thumb you get Viva Resistance V11 (FA: Nathan Hoette). Lip traverse with the start of Wimmel Friedhof and the finish of Rave Heart. The very popular cave classic - start MATCHED! on the big triangular pinch and top-out. Start as for Rave Heart but top out as for Wimmel Friedhof. Start matched on the furthest out to the right sloper right of Rave Heart and top out as for Amniotic World. If you finish this one as for Rave Heart you get Extended Heart V9 (FA: Tim O'Neill). Finish matched on big sloper.